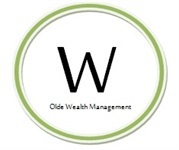 Overdraft Protection - What Banks Don't Want You To Know | Olde Wealth Management, L.L.C. Getting overdraft protection on your bank account might sound like a good idea, but it may be costing you a lot of money in unnecessary bank fees. I thought the visual below was brief, helpful, and interesting. Consider declining this service at your bank to avoid extra fees.